On February 14, the lives of the people attending Marjory Stoneman Douglas High School in Parkland, Florida were changed forever as 19-year-old Nicholas Cruz opened fire and killed 14 students and 3 staff members. This tragedy has become the platform on which people are advocating for and against gun rights, dividing the political sphere. While political stances are important, it is crucial for Christians to understand that we are to represent Christ before we represent a political party. Dr. Spindle emphasizes the importance of small healing practices such as prayers, mourning and presence. These practices have the ability to transform the ways in which we respond to both those mourning the victims of the mass shooting as well as those mourning the shooter. She goes on to say, “We must stand in the tension of suffering and walk with people in the midst of that.” It is this tension that we stand in today in the aftermath of the shooting. Not only must we understand the importance of empathetic suffering but also the importance of hospitality towards both the victims and the shooter. While hospitality towards the victims may seem natural, it is the transformative nature of hospitality towards the shooter and the people mourning the shooter that is just as imperative. Dr. Spindle commented on this difficult tension, saying, “… if by hospitality we mean, ‘loving our enemies, and praying for those who persecute us’ or if it means ‘forgiving others so that we too may be forgiven,’ then I think we should understand this as a Christian imperative. 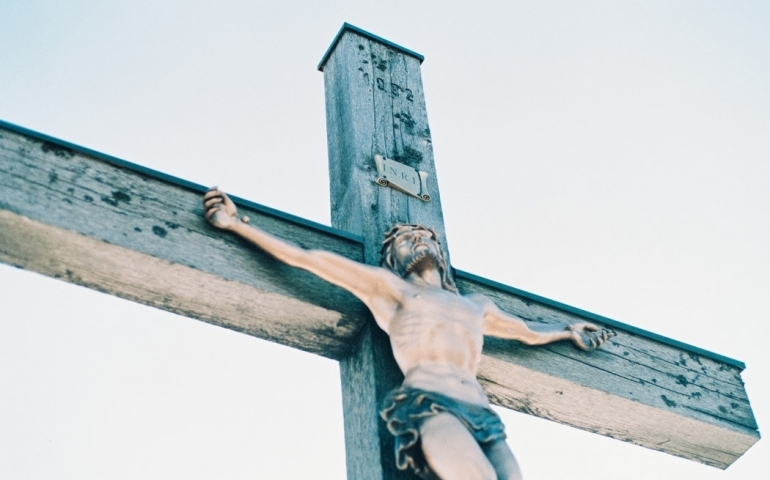 It’s perhaps one of the most difficult teachings of Jesus, but it must be our posture.” The posture of forgiveness shapes others as well as ourselves, as Dr. Spindle articulates. As we live our everyday lives and experience moments of great suffering in our communities and in our lives, it is important to take a posture of hospitality, understanding that suffering is a way in which we can practice forgiveness and empathy. Addressing the pain that comes along with a horrific event such as the Florida shooting is a significant part of the Christian response to crisis; we must be willing to walk alongside others in their path of suffering.